CHARLOTTE, North Carolina -- Sgt. 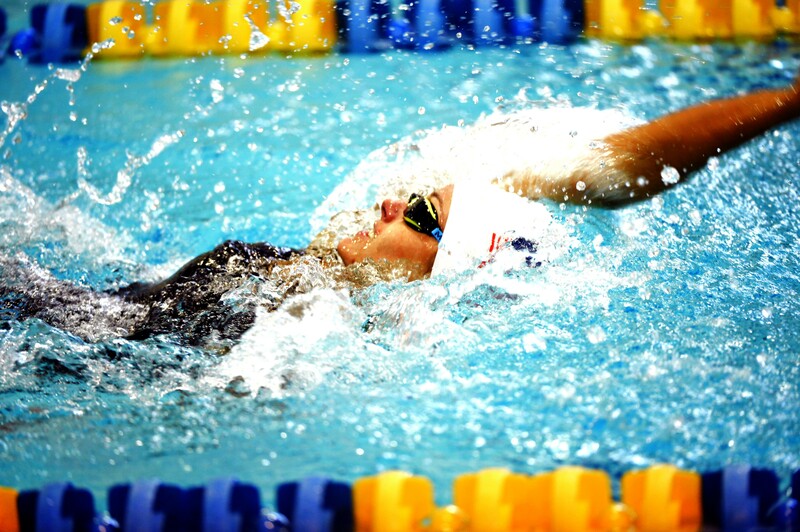 Elizabeth Marks earned a Paralympic berth at the 2016 U.S. Paralympic Swimming Team Trials, June 30 through July 2, at the Mecklenburg County Aquatic Center. Marks, 25, is a native of Prescott Valley, Arizona. 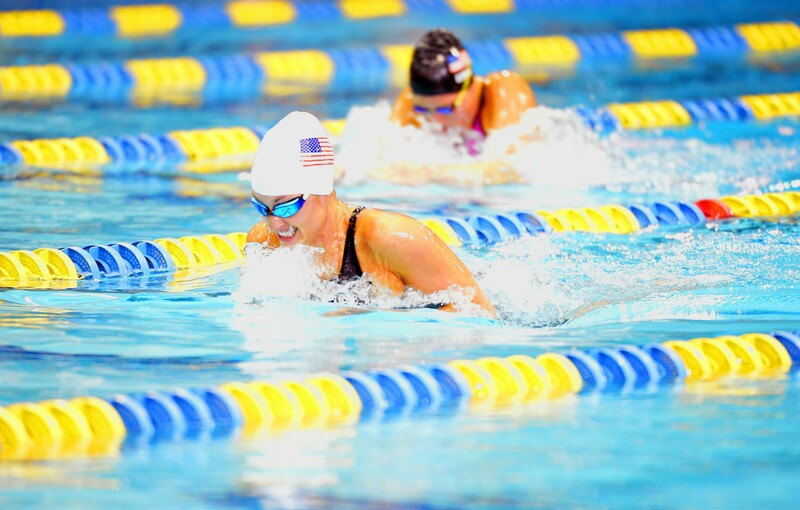 She joined the Army at age 17 and is the first Soldier in the U.S. Army World Class Athlete Program to become a Paralympic swimmer. "I'm just grateful," Marks said. "I'm excited that I get the chance to represent the United States of America's colors in any way that I'm allowed." Marks opened the three-day meet on the morning of Thursday, June 30, with a victory in the women's 100-meter breaststroke preliminaries with a time of 1 minute, 29.47 seconds. That night she went on to win the final in a personal-best time of 1:28.54 -- just 0.01 seconds off the world record of 1:28.53 in her classification. Seventeen-time Paralympic medalist Jessica Long finished second in 1:34.51 -- nearly six seconds behind Marks. After migraines kept Marks awake most of Thursday night, Marks' coach, Nathan Manley, and Jason Barber, Head of Sports Medicine and Strength & Conditioning for the Army World Class Athlete Program, medically scratched her from the 100-meter butterfly on Friday to allow her to recover before competing in two events on Saturday, July 2. When Marks returned to the pool Saturday, she finished second in the 100-meter backstroke with a personal-best time of 1:21.64. (Long won the race event in 1:19.56.) That same day, Marks finished third in the 200-meter individual medley preliminaries with a time of 2:56.83. "The Army has taught me resiliency and I didn't think twice about waking up and coming and trying to give it my all that third day -- came too far to not swim as much as possible," Marks said. "But the second day it was a smart, strategic move to medical out. I wanted to push through it, and I would've, but I was extremely ill."
Marks, who has a loss of sensation in her limbs, reduced lung capacity and impaired vision while swimming, remembers little about each of her races in Charlotte, North Carolina. "It was all a blur. I don't remember; I really don't," said Marks, who also experiences hearing difficulties immediately after racing. "When I swim, I swim so hard that I don't even know what my time is. I can't see it. I don't know if I finished first or last. I have no idea." 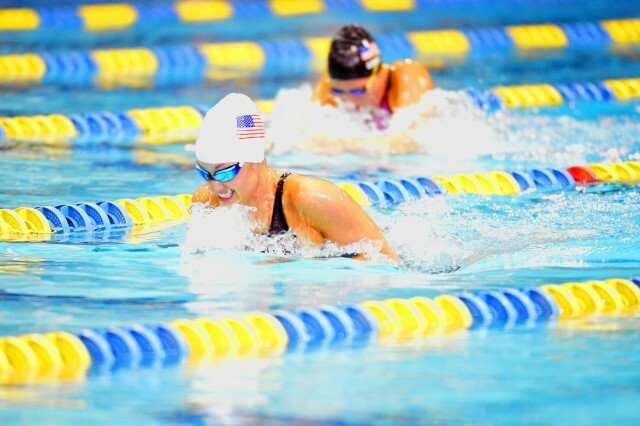 On the Fourth of July weekend, she swam fast enough to earn a spot on Team USA. Marks officially was named to the 2016 U.S. Paralympic Team during a celebration ceremony Sunday, July 3, at Romare Bearden Park in uptown Charlotte. "I don't view this as me making the team," Marks said. "I view this as a group effort making the team. These people that I've been so lucky to have in my life, like all of my Invictus brothers and sisters, I feel like we made this team. Every step along the way has been unexpected and sometimes hard and sometimes beautiful, and I'm just grateful for all of it." Marks was determined to make Team USA to show her fellow wounded warriors that they too can return to living a productive life. She sustained bilateral hip injuries in 2010 while serving as a combat medic in Afghanistan and nearly died in London in 2014 from a respiratory infection that led to a medically induced coma that lasted nearly two months. "There's too many people that get stuck after they get hurt, whether it's mentally, physically or emotionally hurt, and I think the most tragic thing that can happen is for one of our brothers or sisters to get left behind," said Marks, who also wears an Ideo, a prosthetic for her non-sensation left leg. "I think that it's our responsibility to continue lifting our brothers and sisters up until not one person is left behind, until the statistic of suicide is reduced, until everyone knows that there's a family once you become ill, sick or injured -- mentally or physically." Marks boosted her campaign for U.S. Paralympic Team selection with a sterling performance at the 2016 Invictus Games. She won four gold medals at Walt Disney World's ESPN Wide World of Sports and gave one of them to Invictus Games founder Prince Harry to deliver to members of the Papworth Hospital staff who saved her life after she traveled to London to compete in the inaugural Invictus Games in the fall of 2014. "If I just had one medal I would have given it to that hospital," Marks said. "I was meant to die in London. I went from the Royal London (Hospital) to Papworth to Landstuhl (Army Medical Center in Germany) to Brooke Army Medical Center or SAMMC (in San Antonio), and then I was finally released from the hospital on Oct. 20. I was admitted at London Royal with a fever of over 103 and that was the last thing I remember (until coming out of the coma in Germany)." "When I found out that I would have a chance to compete at Invictus again, that meant so much to me because I wanted to go and stand with my teammates that supported me - get to hug and shake the hands of all the strangers that loved and supported me without even knowing me," Marks said. "Of course, Prince Harry's country, the UK, saved my life, and saving my life meant a great deal to me. I've known Prince Harry since the Warrior Games in 2013, but I wanted to be able to shake his hand and thank him for all his country had done for me." Prince Harry delivered on his promise and presented Marks' gold medal to staffers at Papworth Hospital at the Royal Palace in London. "I had a very hard recovery and a pretty difficult past year, physically and emotionally," Marks said. "To watch that chapter close in such a beautiful way that brought publicity to the hospital that they so deserved and to help outline and shine on what a wonderful human being Prince Harry is and how much he genuinely cares about Soldiers -- just the entire situation felt like the most beautiful, most unimaginable ending to that chapter of my life."